Adapted from the 2006 award-winning British miniseries of the same name, Low Winter Sun’s cast includes Ruben Santiago Hudson (Castle, Law & Order) and Athena Karkanis (Transporter). Ernest Dickerson (The Walking Dead) is rumored to be the series’ director with Chris Mundy (Criminal Minds, Cold Case) as its writer and executive producer. Set in Detroit, Michigan, the series is also on schedule for shooting in Detroit early this fall. The Michigan Film Office is excited about the production since having Low Winter Sun filming in the state will be a major asset for Michigan. The new television series receives an incentive of $1,344,412 from Michigan and promises to employ 124 Michigan workers with a full-time equivalent of 23 jobs. Low Winter Sun may join AMC’s stellar line-up that includes Mad Men, Breaking Bad, Hell on Wheels, and The Walking Dead. PHOTO CREDIT: Production still of Low Winter Sun via Google. The new series aside, the biggest project for Michigan in 2012 is the untitled tornado project filmed at the Michigan Motion Picture Studios in Pontiac, formerly known as Raleigh Michigan Studios. The production is financially a good investment. Utilization of Michigan’s existing studios, post-production facilities, equipment rental, etc. Employment of Michigan residents by the production. Ability to showcase Michigan in a positive light and promote the state as a tourist destination. 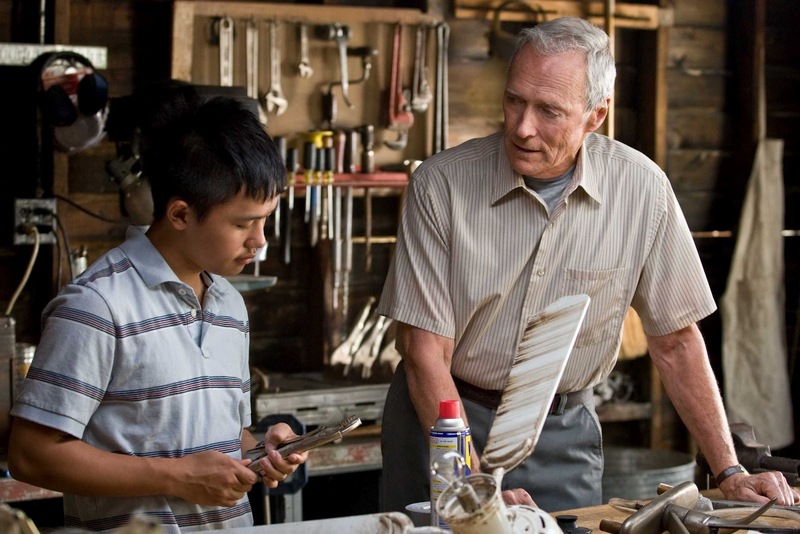 Production still of Clint Eastwood's Gran Torino via Google. Located on the third floor of 300 North Washington Square, Lansing, Michigan, and having been around since 1979, the Michigan Film Office’s mission is to assist and attract incoming production companies to Michigan. 2011 was a productive year for Michigan with over 30 movies filmed in the state, including the charming romantic comedy The Five-Year Engagement (Emily Blunt, Jason Segel) and George Clooney’s The Ides of March. Searching for the perfect Michigan film locations for your production is a breeze with the Michigan film location library, where thousands of Michigan’s locations are online and accessible from anywhere at any time. The Michigan Film Office’s website also has details on Michigan’s film incentives, permits required for filming, local film crew directory, and much more.